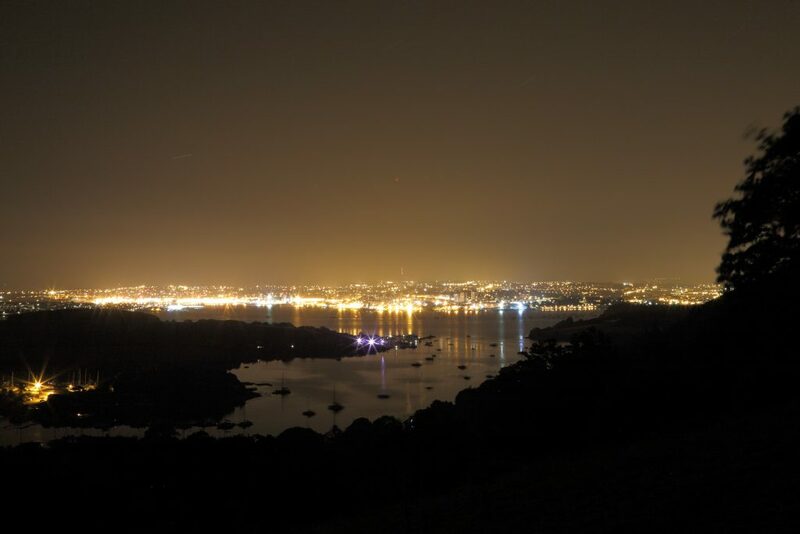 During the 20th and 21st Centuries the development of electric lighting and rapid growth of human settlement, transport infrastructure and economic activity has led to large areas of the globe coming under the influence of artificial light at night. This is due both to direct illumination and to ‘‘skyglow’’, the diffuse scattering of light by water, dust and gas molecules in the atmosphere. Skyglow can be detected over a much wider area than direct artificial lighting, extending tens and perhaps hundreds of kilometres from the source and obscures our view of natural starlight and moonlight. In 2016 it was estimated that 83% of the world’s human population inhabited areas affected by skyglow. It has been shown that under cloudy conditions in urban areas, skyglow can be of an equivalent or greater magnitude than high-elevation summer moonlight. Our work investigates the magnitude, properties and the ecological effects of skyglow.